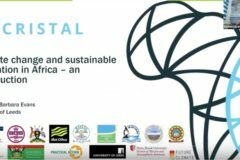 FRACTAL aims to understand the decision context and the climate science required to contribute to climate resilient development in nine southern African cities. 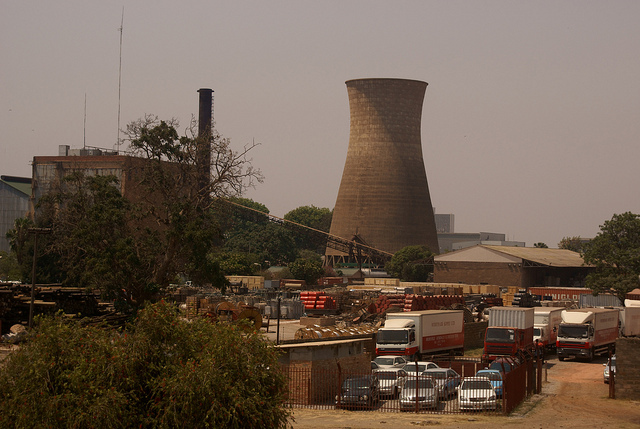 The FRACTAL team aim to contribute to an advanced understanding of scientific knowledge about climate processes, regional and local climate trends to improve understanding of southern Africa’s climate and work with decision-makers to integrate this scientific knowledge into climate-sensitive decisions at the city-regional scale (particularly decisions relating to water, energy and food with a lifetime of 5 to 40 years). The project engages with scientists, engineers, government representatives and other stakeholders. Working together, the researchers and stakeholders are co-producing relevant knowledge that will support resilient development pathways and enable decision-makers to better integrate pertinent climate knowledge into their resource management decisions and urban development planning. FRACTAL is undergoing City Learning Dialogues in three cities: Lusaka, Maputo and Windhoek. These City Learning Dialogues involve embedded researchers, who are immersed in the working world and practices of the people shaping and making climate-related decisions in city-region and learning lab events. At these events, decision-makers, practitioners and researchers (from the fields of climate science, social studies, governance and adaption) come together to jointly frame climate-related problems, and brainstorm solutions. In addition to activities in these primary cities, FRACTAL is also working on climate resilience projects in Blantyre, Harare, Gaborone, Johannesburg, Cape Town and Durban. 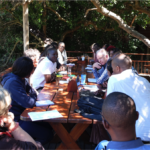 Three learning exchanges between cities (Lusaka-Durban; Lusaka-Windhoek; Windhoek-Harare) including teams of researchers and decision-makers helped improve understanding the contextual barriers for resilient development in cities and the consequences of those barriers. These exchanges have encouraged necessary discussion with decision-makers about the benefits of climate information for planning. The FRACTAL team undertakes research across disciplines and knowledge types, including experiential knowledge from decision-makers and organisations working in each city, climate science, governance research, and impacts modelling. Ongoing fundamental climate science is being carried out to improve understanding of the physical climate processes that govern the regional system (observed and simulated). Researchers and stakeholders unpack the unique socio-economic, governance and physical characteristics of each city in order to understand climate sensitivities and enable decision-makers and planners to consider these sensitivities. Different knowledge types are brought together through social learning processes, exploring methods to undertake transdisciplinary co-production and identifying opportunities for context-specific capacity building. FRACTAL aims to foster an iterative learning process that moves beyond measurements of targets towards adjustment. Professor Bruce Hewitson is the National Research Chair on Climate Change at the University of Cape Town with a Ph.D. from Pennsylvania State University (1992). His key expertise is in regional climate change, climate modelling, downscaling and climate change scenarios. His group in Cape Town, one of the planned GCAP Knowledge Partners, is the only resource targeting regional climate change projections for Africa. Through these activities, Professor Hewitson has a strong background in working with stakeholders and other scientists across Africa. Alice is the coordinator for the Future Resilience for African CiTies and Lands (FRACTAL) project. She has been working in the field of climate change for a number of years, particularly through designing and managing donor-funded adaptation projects (including GEF, Adaptation Fund and GCF) in Africa and Asia. 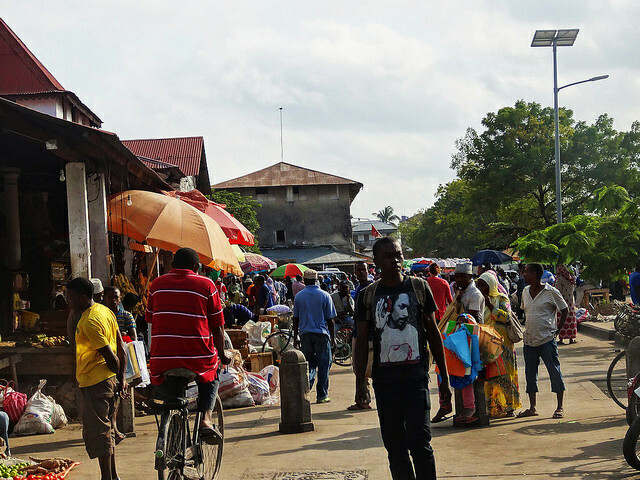 As the coordinator for the FRACTAL project, Alice is currently liaising with project partners to coordinate research that will support resilient development pathways in Southern African city regions. Julie is a regional program officer for East Africa, based in Kampala, Uganda. Her expertise lies in climate risk management, with an emphasis on early warning/early action mechanisms and natural resources management. She also spends half of her time supporting American Red Cross programs in Africa. Sukaina Bharwani is co-leader of the SEI theme Reducing Climate Risk and has been a staff representative on the SEI Board. Sukaina has a Ph.D. in Applied Computing (Social Sciences) and a BA. (Hons) in Social Anthropology. Her inter-disciplinary research in Social Anthropology and Computer Science provides her with a unique range of qualitative and quantitative skills linking vulnerability, livelihoods, and adaptation with biophysical analyses. Her current research involves a country pilot study for Future Climate for Africa. Ruth is Centre Director of SEI Oxford. Her background is in agriculture, water and climate change impacts and adaptation. She is currently contributing to and developing the SEI Oxford’s weADAPT platform. 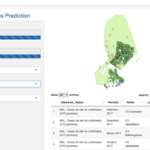 Her specific contribution is the development of climate change vulnerability assessments for countries involved in ACCCA projects using GIS, models and multiple data sources. Ruth has worked on two of the largest EU projects on climate change impacts and European agriculture, CLIVARA and CLAIRE. James currently works for Aurecon in Cape Town, South Africa. He is an Associate of the water group working on a range of water resource management projects in Africa. He was also a Rhodes Scholar with degrees in politics, philosophy and economics, and an MSc. in environmental change and management from Oxford University, UK. He was a Ph.D. student at the University of Colorado at Boulder, USA, where he was awarded the Chancellor’s Fellowship. Simon is an Associate Professor in Physical Geography and a Fellow of Christ Church. Simon’s research focuses on the processes that link climate, hydrology, and geomorphology. These range from the potential impacts of future climate change on river flows, to the study of how continental-scale weather patterns have influenced mountain topography over the past few million years. Prior to this, Simon was an Environmental Modeler at the Centre for Ecology and Hydrology where he remains a CEH Fellow. Helen is the Head of Environmental Policy & Strategy at the City of Cape Town, where she implements various programmes and projects related to environmental policy & strategy, the Green economy, Environmental fiscal reform, Green procurement and Climate change adaptation at the municipal level. Helen was previously a director of Environmental Sustainability, Climate Change and Biodiversity in the Western Cape Government. Helen holds an M.B.A from the University of Cape Town. Tahia joined SEI Oxford as a Research Fellow in 2008. Since April 2016 she works with SEI as a Research Associate from Vancouver, Canada. Her research focus is on social‐ecological system dynamics and ecosystem-based adaptation. Tahia holds a Ph.D. from the University of Oxford. Her dissertation topics assessed wildfire dynamics in southern Amazonia. Tahia holds a two-year MSc. (Hons) in Environmental Science, Policy and Management from the University of Manchester, IIIEE-Lund University and Central European University. Alessandro’s work relates primarily to regional climate change modelling and the linkage with impact models (e.g. floods, crop yield, forest fires, etc), with a focus on the problem of ‘downscaling’ and ‘bias-correction’. He is also investigating the feedback between land and climate by means of coupled climate-biogeochemistry models in the study of the effect of climate change on ecosystems. Alessandro has worked on the dispersion of passive and chemically reactive species in the convective boundary layer. Francois leads the climate studies, modelling and environmental health research group at the CSIR. He obtained a Ph.D. in meteorology (University of Pretoria) and specialises in numerical climate model development and regional climate modelling. Francois leads the development of the first African-based Earth system model with national and international partners. He is an associate professor at North-West University and an honorary research associate of the University of the Witwatersrand. Kenneth is a Senior Lecturer at Malawi Polytechnic which he joined in 2003. Kenneth also worked for Lever Brothers Malawi (1987-1993) in various technical positions, the last of which was factory manager. He holds a BSc. in mechanical engineering with distinction from Malawi Polytechnic (1987) and MSc. of manufacturing engineering from Oklahoma State University, USA (1996). He has also attended various short courses in management and environment. He has recently joined the membership of the Air Pollution Information Network for Africa. Feyera is a postdoctoral researcher at the European Commission Joint Research Centre (JRC). His primary duty is to test and improve the Global Flood Awareness System (GloFAS) which is used for operational streamflow forecasting for major rivers around the world. He also coordinates the Global Flood Service and Toolbox pillar of the Global Flood Partnership. Feyera holds a Ph.D. in Environmental Engineering from the University of Connecticut. His other research interests include nonlinear dynamics, time series analysis, retrieval algorithms, data mining and machine learning. Victor joined CSAG in February 2016 as a Postdoctoral Research Fellow working within FCFA’s FRACTAL project after graduating from Curtin University. Victor is mainly involved in developing user-relevant climate metrics appropriate to the unique contexts of eight cities in southern Africa. Prior to joining CSAG, Victor worked for CRC CARE – Advanced Doppler LIDAR project in Perth and IGAD Climate Prediction and Application Centre (ICPAC) in Nairobi. Kornelia Ndapewa Iipinge is the Windhoek Embedded Researcher for the Future Resilience for African Cities and Lands Project in Namibia. She has a BSc. Honours in Integrated Environmental Science from the University of Namibia and MSc. in Integrated Water Resources Management from the University of Zimbabwe as one of the Southern African Development Community 2015/16 WaterNet fellows. Her experience is in natural resource management, ecological restoration research and project management. Tamara holds an MSc. in Atmospheric Sciences at the University of Alberta, Canada, She has worked at the Met Office as a monsoon scientist. She worked on projects to help India and Bangladesh develop their capacity to adapt to regional climate change. As project lead for the Weather and Climate Science for Service Partnership (WCSSP) project in South Africa, Tamara helps bridge the gap between the science of short-range weather forecasting and the all-important business development functions at the Met Office. Richard is a Science Fellow at the Met Office and manages work on generating and applying regional climate information and modelling systems with a focus on international development. Richard has a Ph.D. in Mathematics in the analysis of numerical methods relevant to oil reservoir modelling. Prior to joining the Hadley Centre, he was a postdoctoral researcher in the Mathematics Department at Oxford University. He is a Visiting Professor in the School of Geography and Environment, University of Oxford, coordinating Met Office Academic Partnership activities and collaborative research. Eddie joined the Climate Centre in 2015 and provides support to the Partners for Resilience and forecast-based financing programs in East Africa. His focus lies at the intersection of capacity building and urban resilience. Eddie also organizes workshops and training for Climate Centre partners in the region. Before joining the Climate Centre, Eddie was involved in environmental education and urban disaster-risk management, and he is pursuing an MSc. degree in Climate and Cociety at Columbia University in New York. Jess Kavonic completed her MSc. Degree in Climate Change and Sustainable Development at the University of Cape Town in 2013. Jess joined the ICLEI’s Cities Biodiversity center to work on the Urban Natural Assets for Africa Project (UNA Africa). UNA Africa – focusing on Ethiopia, Tanzania, Malawi and Cape Town – aims to improve human well-being and resilience of the urban poor, through the conservation of local biodiversity and through capacity building of local government and other important stakeholders. Bettina holds a Master’s Degree in Geography, Cartography and Anthropology from the Free University of Berlin. She’s been working in the development field since 1997, focusing on trans-disciplinary research and participatory methods. She is involved in climate change adaptation working with rural communities, training, social research, and organisational development. Bettina is also undertaking her PhD studies in the field of climate change adaptation – focusing on how to include communities in the adaptation process to increase communal resilience to climate change. Chris holds an undergraduate degree in Zoology and post-graduate degrees in Ocean and Atmospheric Science (BSc. Hons), Zoology (MSc.) and Climatology (Ph.D.). 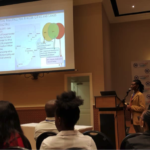 Chris’ Ph.D. tested the ability of a regional climate model (MM5) to capture extreme rainfall events over Cape Town, South Africa. He has also lectured on a number of climate-related courses at UCT. His current Cordex responsibilities include the engagement of users of climate information which he finds particularly satisfying. Goabamang is a Candidate Landscape Architect from Botswana. She is an Environmental Planner and Designer. Goabamang is currently a lecuturer in Landscape Design and Urban and Rural Design at the University of Botswana. She holds a Bachelor of Social Sciences, (Environmental and Geographical Science and Industrial Sociology) as well as a Masters in Landscape Architecture from the University of Cape Town. Rudo Mamombe is a passionate environmentalist, ecologist and FRACTAL Embedded Researcher at the City of Harare. She graduated from Chinhoyi University of Technology, Zimbabwe with a BSc. (Hons) in Wildlife and Safari Management. She is currently undertaking her MPhil. studies and is also a research assistant in the department of Freshwater and Fishery Sciences (CUT). Her main research interests are on climate change and variability focusing on governance of natural resources. 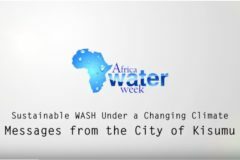 She is working on a research project on water and energy systems, urban governance and decision making in Harare. Genito is an associate Professor at the Universidade Eduardo Mondlane in Maputo, Mozambique. He lectures in Modeling and Simulation of Physical Processes: Air Pollution dispersion modelling and aspects cover air pollution dispersion modelling, including radioactive tracers, from release to deposition. Genito also assists graduate and undergraduate students research. Genito holds a masters degree in Physics as well as doctorate in Environmental & Geographical Science from the University of Cape Town. Brenda works at the University of Zambia, and Lusaka City Council. Her research interests include urban informality and a participatory approach to sustainable solutions in areas of housing, water and infrastructure development and maintenance. Additionally, Brenda is interested in climate change adaptation for cities aimed at building resilience, environment and society as well as inclusive and participatory approaches to decision making for climate change adaptation and mitigation. Brenda has undertaken research and training/capacity building around areas of decentralisation, formulation of development policies and implementation plans for urban informal areas. Wilma is a Lecturer within the Geography Department at the University of Zambia. Wilma possesses research skills in Qualitative Research, teaching statistics and SPSS, as well as in Remote Sensing, ArcGIS. She is knowledgeable about Sustainable Development. Wilma holds an MSc. degree from the London School of Economics and Political Studies and a Ph.D. from the University of Zambia. Mark is Pro-VC for Climate Change and Director of the ACDI. He holds a joint appointment as Professor of International Development at the University of East Anglia, United Kingdom His work on climate change scenarios includes the UNDP climate change profiles which provide a consistent set of climate scenarios for over fifty developing countries, and scenarios for islands of the Caribbean as part of the CARIBSAVE project. His research on impacts and adaptation has addressed broader adaptation policy issues around high-end climate change and dangerous climate impacts. Mzime is an Ecologist with extensive experience in biodiversity and conservation, natural resources management, environmental change analysis. Mzime also has working experience in field-based research particularly in environmental issues, working with environmental management, research and policy organizations in and out of Africa and through various networks. She is currently the Deputy Dean in the School and also works as a Research Leader and Lecturer and has previously taught at the University of Zimbabwe for a number of years. Grigory Nikulin is a research scientist in the Rossby Centre (SMHI) and his main research activity is the analysis of both global and regional climate models. His research focuses on how the statistics of weather and climate extremes may change in the future under different climate scenarios. His current research focus is on providing climate information for impact studies. He is WP leader in the FP7 project EUPORIAS and a member of WRCP CORDEX Scientific Advisory Team. Sean is Acting Manager within the Climate Protection Branch in the Environmental Planning and Climate Protection Department in the eThekwini Municipality, Durban, South Africa. 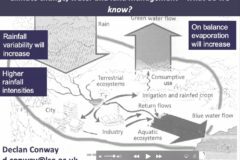 Sean directs Ecosystems Based Adaptation strategies, as well as Durban’s Adaptation Charter and CEBA – Community Ecosystems Based Adaptation strategies that fit in with Durban’s overall Climate Change Strategy. Izidine enrolled for a Ph.D. at CSAG mid-2011. His research interests revolve around climate modeling, extreme weather events and statistical methods for the analysis of these. Kwesi is currently a Ph.D. 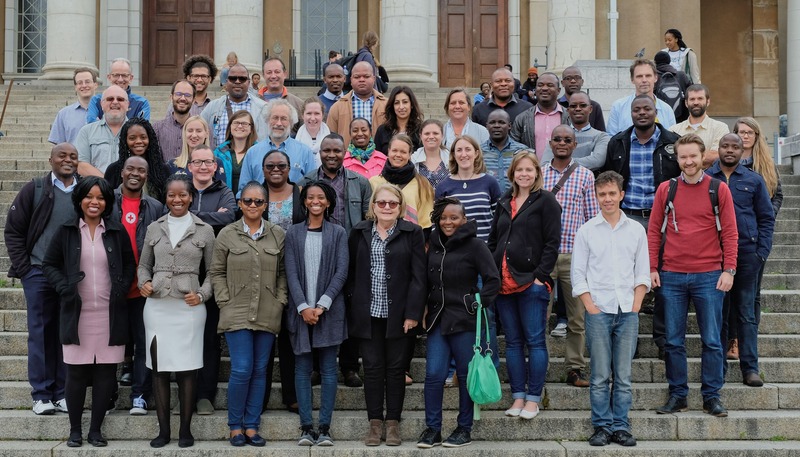 Fellow with Climate Systems Analysis Group (CSAG) at the University of Cape Town where he is working on the co-behaviour of climate processes relevant to southern Africa. He holds a BSc. and MSc. in Physics (meteorology option) from the University of Cape Coast, Ghana. His research interests are primarily in regional climate change, climate modelling, climate extremes, and methodologies in investigating atmospheric processes. Raul is the Head of Department at the Education in Natural Sciences and Mathematics , at Eduardo Mondlane University, Maputo, Mozambique. Dr. Alex Ruane is a Research Physical Scientist at the NASA Goddard Institute for Space Studies and an adjunct Associate Research Scientist at the Columbia University Center for Climate Systems Research. Alex’s research uses a variety of climate and impacts assessment models to examine the influence of climate variability and change on a variety of sectors including agriculture, water resources, urban areas, infrastructure, energy, and human health, leading to the development of adaptation strategies and decision support tools for stakeholders and policymakers. Sarah is Director of Programs for the International START Secretariat and develops project concept notes and program proposals, designs and leads the execution of project activities, manages START budgets and engages in outreach to START partners and donors. She also manages day-to-day activities of START program staff. She holds an MSc. in Human Dimensions of Natural Resources and a BSc. in Environmental Communication from Colorado State University. Dianne Scott is a social scientist with a research interest in the field of environmental and climate change governance, environmental politics, and sustainable urban development, with a particular focus on South Africa and KwaZulu-Natal. She is currently working on a critical analysis of climate change/water governance in South African and sub-Saharan cities. She is also a co-editor of a book on the co-production of development and climate change knowledge for the city of Cape Town. Mawanda provides technical advice, policy support and capacity building on National Adaptation Programmes in Armenia, Georgia, Kenya, Malawi and Nepal. He supports humanitarian diplomacy on climate policy, linking with the IFRC secretariat and Partners of Resilience. Mawanda was formerly in charge of disaster risk reduction and climate adaptation at the Uganda Red Cross Society, engaging local structures, national governments and regional bodies on climate risk management and policy dialogue. Gilbert has completed his first semester at UCT with great aplomb, and is currently undertaking an internship with the Zambian affiliate of Shack/Slum Dwellers International, known as People’s Process on Housing and Poverty in Zambia (PPHPZ). His activities have included monitoring housing demolitions associated with the (currently underway) Lusaka Ring Road Project. Gilbert holds an MSc. in City and Regional Planning from the University of Cape Town and he is currently completing his Ph.D. in City and Regional Planning also at UCT. Meggan manages the climate change adaptation and biodiversity workstream at ICLEI Africa. Prior to joining ICLEI Africa she worked as a Climate Protection Scientist and Specialist Climate Change Consultant at eThekwini Municipality, where she was involved in the planning of the eThekwini Municipal Climate Protection Programme. Meggan holds a Ph.D. in Environmental Science from Rhodes University. Her research was on investigating the barriers to and enablers of municipal planned climate change adaptation. Anna is the lead on climate services in the Climate System Analysis Group. She has a background in applied climate science with a current research focus on the engagement of users and decision-makers in the use of climate information. Her research interests include climate services, user engagement in developing decision-relevant climate information, and science into use. Anna also has more than 5 years of previous experience working at the UK Climate Impacts Programme. Pablo is Associate Director for Research and Innovation at the Red Crescent Climate Centre. He now directs our initiatives linking applied knowledge with humanitarian work, as well as new approaches to climate risk management. Examples include participatory games for learning and dialogue, and the forecast-based financing pilots in Togo and Uganda – the use forecasts of extreme events to trigger the disbursement of funds for action before a disaster occurs. Pablo holds a first degree in water engineering, an MSc. in community planning and development, and a Ph.D. in geography. Mark is involved in African climate variability, seasonal forecasting and climate change issues. He works with the Climate Systems Analysis Group (CSAG), based in the EGS department. Mark’s research interests include intra-seasonal rainfall characteristics important for agriculture, their physical causes and potential predictability. Ongoing work on the onset of the maize growing season relates to food security concerns across the region. He is involved with assessing GCM climate change predictions for Africa and assessing different. Anna works on questions of urban adaptive governance and sustainable transitions to address the differential risks, vulnerabilities and impacts associated with climate change. Anna has a background in human geography and environmental science. She has an interest in what knowledge, whose knowledge and how different kinds of knowledge is brought to bear on decisions and actions affecting the resilience of an urban system, which leads to questions of power and empowerment. Anna joined the African Centre for Cities in 2011 to work on her PhD as part of the Mistra Urban Futures program. Richard works on understanding environmental-related decision-making and adaptation processes. He has also been applying agent-based social simulation to address environmental management and development problems, including modelling socio-cognitive factors affecting disaster preparedness, impact of shrimp farming on rice paddy ecosystems and dependent livelihoods, and the emergence of sustainable agro-forestry from farmer decision-making in Cameroon. He has been working at SEI Oxford since 2007 and he is a Visiting Staff member at MMU Business School. Dr. Lulu van Rooyen (née Pretorius) holds a BSc. in Environmental Science; a B.Sc. (Hons) in Plant Science and an MSc. and Ph.D. in Environmental Management. Her post-graduate studies are related to wetland ecology. Lulu has worked as an environmental and ecological consultant, for environmental companies as well as in a freelance capacity. She is currently employed at the University of KwaZulu-Natal to act as an embedded researcher as part of the Durban Research Action Partnership (D’RAP); where she is to develop and implement a long-term biodiversity monitoring program. Coleen recently re-joined the University of the Witwatersrand, Johannesburg after spending time at the University of Pretoria. Coleen was also a ‘visiting’ Professor with the University of Stellenbosch working on climate change adaptation and transdisciplinarity. Her current research interests include working in the social and physical dimensions of climate change resilience including helping to build and enhance robust responses to environmental change, effective climate change responses and efforts in disaster risk reduction. Katinka holds an MSc. in Environmental and Geographical Science at the University of Cape Town. In her MSc. research she looked at the vulnerability of small-scale farmers in Mpumalanga and how they are coping with climate variability and change. Katinka works on climate change adaptation projects. Piotr is a hydrologist. Maybe even a wetland hydrologist. He likes to get his feet wet and measure water in swamps. But he is to do this no more. He has discovered the joys of juggling climate data. Using climate models’ output for hydrological analyses in the context of climate change impact assessment, attribution and seasonal forecasting. Trying to figure out how the uncertainties and errors propagate through the various processing steps, and how to extract useful information out of this somewhat messy business. He bridges the disparate worlds of climate and hydrological modelers. An environmental conservation enthusiast, Sandra Zenda has a wildlife management background. Her after-school career pathway as a research assistant led her to explore the field of climate change and variability as an area that affects nature conservation and its governance. Currently, she is an MPhil. 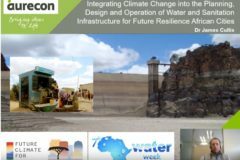 student and embedded researcher for FRACTAL under a START-GEC project with a special focus on the climate-water-energy nexus in the city of Harare, Zimbabwe. Gina is a geographer by training, with 12 years of experience in the field of adaptation and vulnerability to global environmental change. She is a Senior Lecturer in the Department of Environmental and Geographical Science researching issues related to development in the context of climate change. Gina completed her Ph.D. in Geography at the University of Oxford in 2002 after completing her BSc. at the University of Cape Town and her Honours in Environmental Water Management at Rhodes University. FRACTAL’s long-term goal is to increase the resilience of southern African cities by ensuring that decision-making processes are strengthened and include climate knowledge. Our research approach is transdisciplinary, iterative and cyclical. This style of learning is key to developing useful outcomes that have a measurable impact during and beyond the project’s lifetime. WORK PACKAGE 1: Unpacks the city-specific contexts, asking what are the urban climate change risks and impacts, how resilient are the cities and what decisions are being taken for adaptation and development? WORK PACKAGE 2: Aims to understand the decision-making space in the FRACTAL cities and looks for opportunities to better incorporate climate information into local decision-making contexts. WORK PACKAGE 3: Advances understanding of physical climate processes that govern the regional system (observed and simulated). From this, it develops robust and scales relevant climate information.